The German Navy utilize the recognizably “medical” staff of Aesculapius to designate medical officers. While I was unable to procure a reliable image of Russian medical rank insignia, the Russians appear to pretty universally designate medical personnel with the Bowl of Hygeia, , here represented by a shoulder patch. I searched in vain for any rank or corps indicators for the Peoples’ Liberation Army Navy. I will post such to this blog if I do find them. Dear reader, if you can guide me to a source for this information, please leave a comment at the end of this blog. Thanks! The U S Navy also have a unique “Corps Device”–displayed above the rank lace on the sleeve, on the left collar of work uniform shirts, or at the peak of the shoulder boards–to designate medical officers: But it took nearly 100 years to get to this particular iteration. The earliest extant prescription for a U S Navy medical officer identifying device is actually for a “club of esculapius” under live oak embroidery on the uniform’s standing collar, thus: . Originally called for in a 1 May 1830 Secretary of the Navy General Order, it was deleted in 1832 by a Naval General Order which directed “The serpent and staff are to be removed from the collar of the full dress of the surgeons and assistant surgeons, and a branch of live oak is to be substituted”. (1) A Naval General Order of 24 December 1834 again specifies “a branch of live oak to be embroidered on each side of the collar”, thus: . The fact that the live oak specification was repeated after 2 years suggests that it may not have been universally adopted in the fleet. The branch goes missing officially in the 1841 “Regulations of the Uniform and Dress of the Navy”, . (2) It seems likely that these 1841 Regulations simply acceded to general practice in the field. Despite the variation on the theme, I think we can see the “drift” here: we are heading toward an oaken future… I’ll continue the story in the next blog. Last Sunday, as part of the local “Mare Faire” to promote the former Naval Shipyard on Mare Island, I led two walking tours of the grounds of the Navy’s first hospital on the west coast. The structures and property, part of the much-larger Mare Island Naval Shipyard National Historic Landmark, are now owned by Touro University, which operates Schools of Osteopathy, Public Health and Pharmacy, and a Graduate School of Education there. Presently, the University uses four of the many buildings on the site for administrative and instructional spaces. According to Jay Ritchie, Vice President for Administration/Facilities, University authorities hope to convert most of the rooms in the four floor ward buildings and the Sick Officers’ Quarters, all built between 1927 and 1942, to instructional space. While probably earthquake safe, it would be prohibitively expensive to convert these structures to anything like modern hospital design. The Navy Hospital first opened doors in 1864, in a converted granary. A purpose-built hospital received patients on 1 February 1871. That hospital was seriously damaged in the 1898 Mare Island Earthquake; it was replaced with a wood-frame structure which opened its doors in 1901. This building later served as an Administration Building for a much larger hospital complex. It still stands, designated “H-1”. Ultimately expanded to an official pre-war capacity of 600 beds, the Naval Hospital complex reached its maximum of capacity–~2500 beds–at the height of World War II. The facility was designated the Navy/Marine west coast amputee center during World War II and provided absolutely cutting edge prosthetics, created right on the Navy Yard. Even today you have the feeling of walking hallowed ground there, especially when you remember that thousands of men who gave up limbs in service to nation, healing and recovering from war’s wounds, recuperated on this hill overlooking the then-busy shipyard and the Napa River behind. People who walk the tour with me never fail to be touched. This is what I mean by “walking the historical talk”. All of us who harbor an interest and knowledge of local historical matters owe it to our neighbors and visitors to teach that knowledge, to inspire as many people as we can reach to appreciate and learn from their local history. I am continually pleased to note that a good number of young people (meaning, to me, anyone without gray hair!) come out for these historical walks. People are interested in their history. We owe it to them to make that history accessible and “living”! 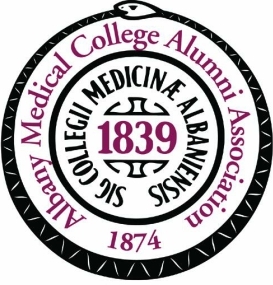 I sit on the Board of Directors of my medical school’s alumni association. Like all organizations these days, we are seeking ways to stimulate membership growth. Being a graduate of the U S Navy’s “Ensign 1915 Program” (in which I was commissioned an Ensign in the Medical Corps and received Ensign’s pay under “duty for instruction” orders), and having served three years’ active military duty and 21 years in Reserve duty, and knowing that several of my classmates had similarly served, it occurred to me that it might be advantageous to stand up a veterans group as a subsidiary of our alumni association. So, I did my research: the only graduate programs that I found with military alumni groups were a few business schools. Now, I’m a Vietnam-era vet, and we didn’t find a lot of “love” when we returned from service. Moreover, the after-glow of Vietnam-era anti-war sentiment, and, more recently, resentment of the military’s “don’t ask-don’t tell” policy, has not made higher academic institutions seem particularly fond of those with a military past. Fortunately, this seems to be changing. Yale’s medical school highlighted graduates currently serving and those with past service in the Spring 2011 number of Yale Medicine. At my own medical school, the new Chief of Obstetrics-Gynecology, a former Army Surgeon General, swore in five new medical officers in the 2011 graduating class–to a standing ovation from their classmates and the general audience. With attitudes toward military service softening, I hope my veteran brethren and sisters will not be shy in joining the military interest group, once it’s approved by the association board. Once stood up, I can imagine the group raising money for scholarships for students anticipating military service, offering advice and counsel to the young doctors-to-be, and, I hope, just getting together to swap old sea stories (or whatever stories Army and Air Force types like to swap). Do you have any experience with a military veterans alumni group? Please tell us about it in the Comment area.